Do you want something iconic and special that will make your event memorable? Look no further than the Taxi Snap Photo Booth! This isn’t just your ordinary photo kiosk where you go in and simply get your photograph taken; this is a vintage British taxi where you can gather with your friends or family and make lasting memories. 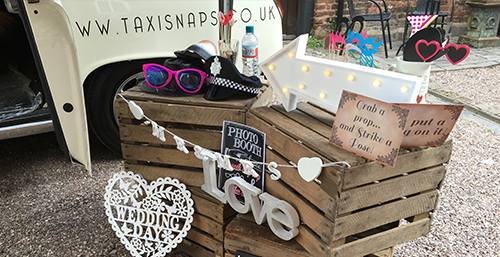 Whether it is for your wedding day, birthday party, prom night or even a corporate event, the Taxi Snap Photo Booth brings a quirky and fun element to any occasion that will put a smile on your guests’ faces. 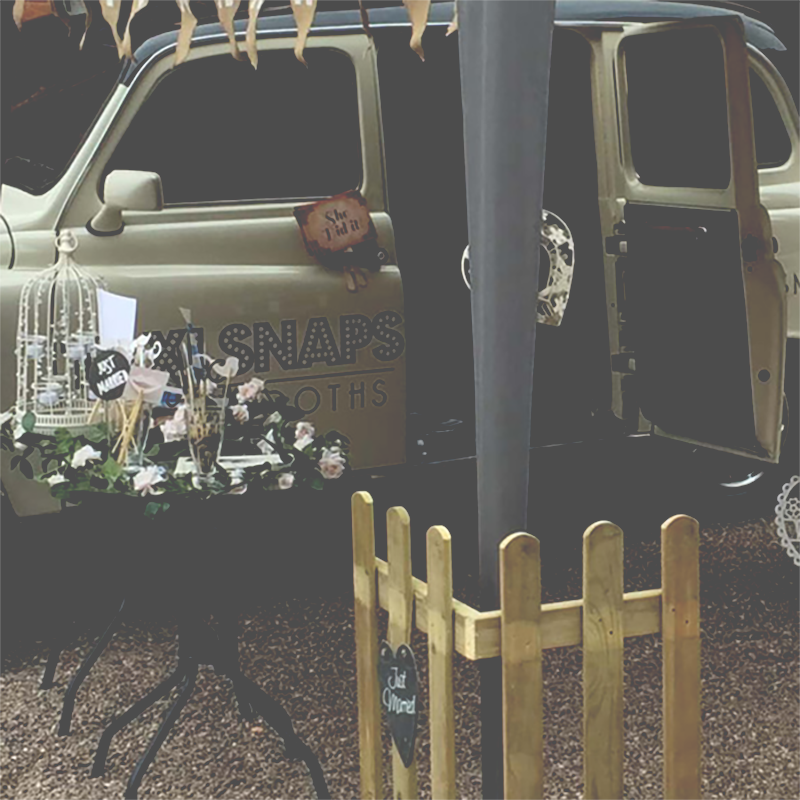 Based in the West Midlands, Taxi Snaps has been bringing their vintage taxi Photobooth to weddings, parties and corporate events keep guests entertained. 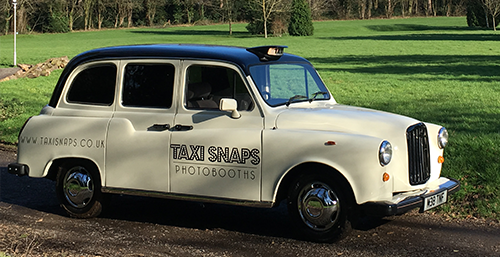 Taxi Snap Photo Booth adds a unique and fun twist to ordinary photo kiosks; now you can hire an iconic British taxi for your event with a photo booth inside! We provide you with a real vintage taxi from the streets of London, which has been specially refurbished and resprayed to add a fantastic feature to any occasion. With the latest sub dye printing technology, advanced DSLR camera and modern touch screen, capturing superior quality photos and taking home sharp and colourful photo strips, has never been easier. You will never have to hire a professional photographer ever again! When you hail a Taxi Snap Photo Booth, you can step into a vintage British taxi that once drove around the streets of London. The hackney carriage has been fully refurbished on the inside and resprayed on the outside so it will take pride of place and look great at any event. Not only can you can enjoy having a real vintage taxi all night long, but you can also host the latest photo technology for your guests to enjoy. The interactive touch screen makes taking photos and videos a breeze, with a user-friendly layout that can also be customised with your own logo and branding. All the photo prints are taken with a DSLR camera, which means you can boast superior quality snaps compared to ordinary photo booths, as well as HD videos that will last the test of time. Who needs a professional photographer when you have the Taxi Snap Photo Booth? Complete with the latest sub dye printing technology, Taxi Snap Photo Booths produces unlimited 2 x 6 photo strips that all your guests can take home as mementos of the occasion. With a countdown timer, everybody can join in the fun and laughter. Say Cheese! Our interactive touch screens allow the guests to select either a photo or video and the ability to retake & zoom. In preparation for the count down timer or that perfect smile. Our HD video recordings allow your friends and family to leave hilarious video messages for you to watch and listen to after your event, making fantastic memories. With all our packages a complimentary Photo Guestbook is included. It allows your guests to share a copy of their picture and write a refreshing comment aside. Our booths are equipped with DSLR cameras, the offer superb photo quality and is accompanied perfectly with our professional sub dye prints. 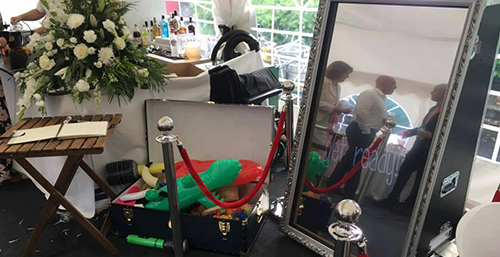 Our Prop boxes are guaranteed to add a lot of laughter to your event. With hats moustaches and love hearts, our props will provide hours of fun for all your guests. All the images from the photo both are provided post event, on a USB stick for you to keep, so you can distribute the photos for your family and friends as you wish. We can upload your images onto our secure location that is password protected. This can be shared over the internet but only viewed by the people you wish to share it with. We are able to upload during the event or after, all of your images & video footage taken, via our social media network & link it straight to yours. Customise prints with text, graphics and logo. Regardless of how many times people visit the booth, we just keep taking pictures and printing. We use the latest sub dye technology, that are set up to provide your guests with unlimited copies of 2x6 photo strips. Both for them and the guestbook. We will be there in plenty of time and run a full test. All before your guests are due to arrive, We will then discreetly pack up our space and leave as we found it. At each event there will be a professional, polite, warm and friendly fully-trained booth attendant, to help provide props and advice.